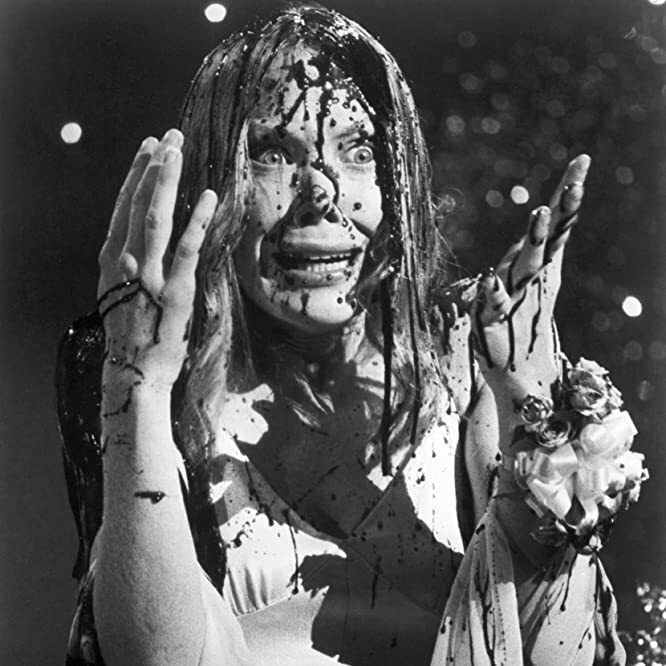 Fresh from the trivia pages of IMDb, here are some facts about classic and contemporary horror films. This poster sold for $435,500 in 1997, making it the highest price ever paid for a poster. It was topped by the sale of a Metropolis poster for $690,000 in 2005. 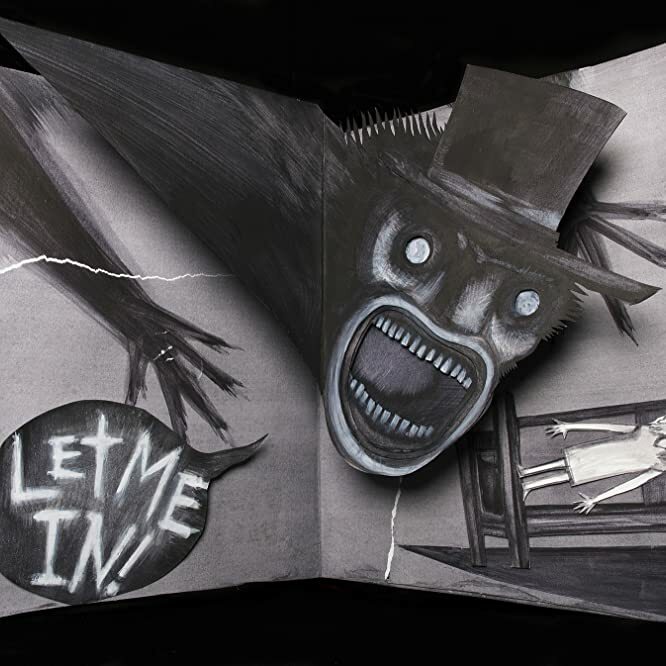 According to writer-director Jennifer Kent, the Babadook was designed based on stills from the lost film London After Midnight (1927) starring Lon Chaney. 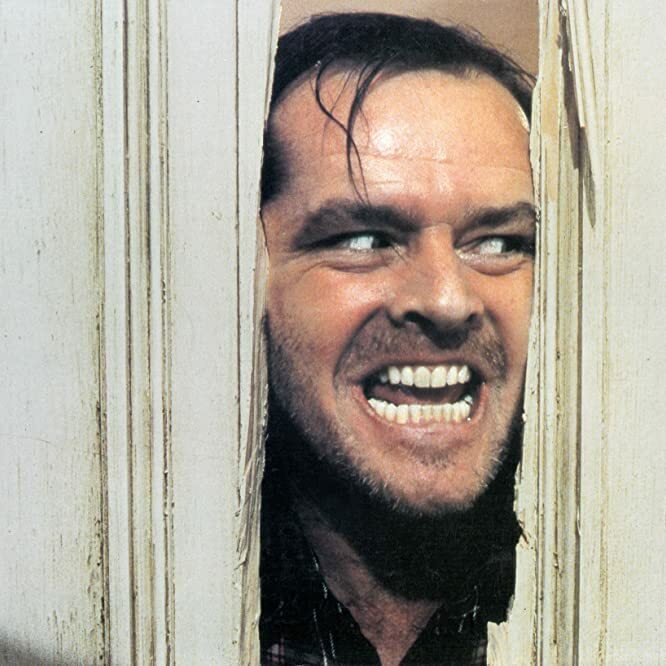 According to actress Shelley Duvall, the infamous "Here's Johnny!" scene took three days to film and the use of 60 doors. 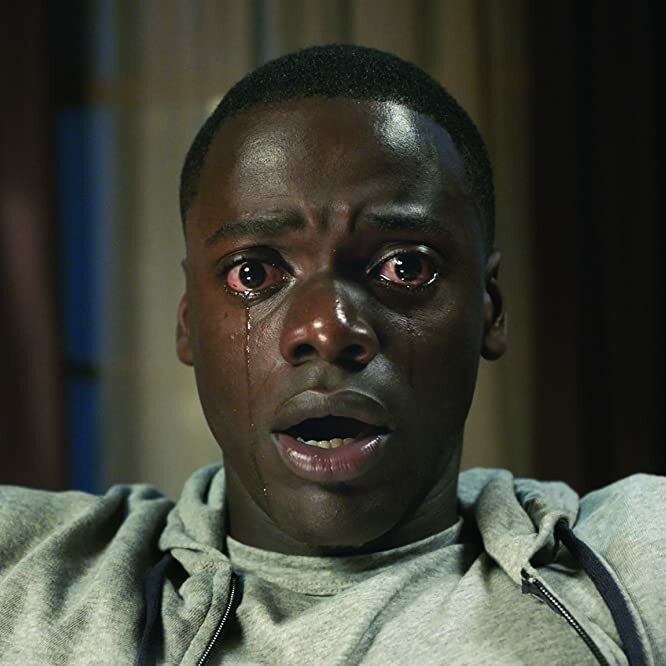 The translation of the main theme, "Sikiliza Kwa Wahenga," is: "Brother, run! Listen to the elders. Listen to the truth. Run away! Save yourself." First American film ever to show a toilet flushing on screen. When Jules kissed the wolf head on the wall, the wolf's tongue was covered in powdered sugar to give it a dusty look ... and make the scene tolerable for actress Anna Hutchison. 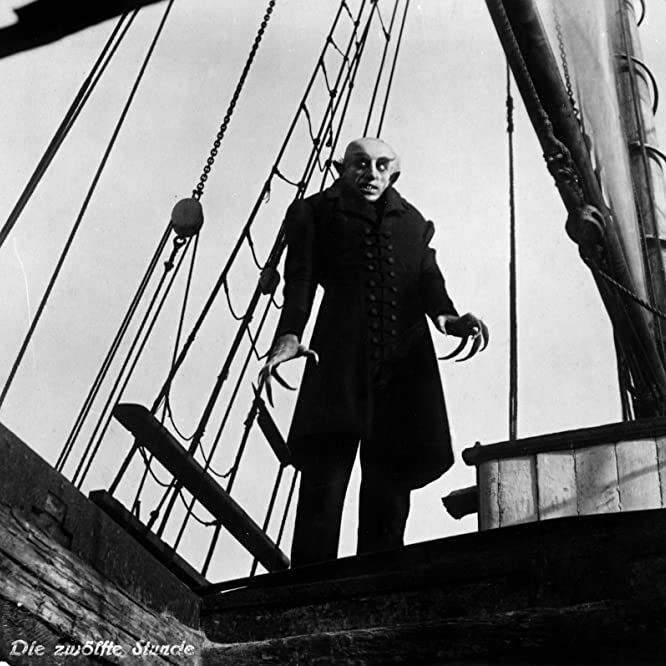 Count Orlok (Max Schreck) is only seen blinking once on screen, near the end of act one. Photo by Stiftung Deutsche Kinemathek © Kino International. 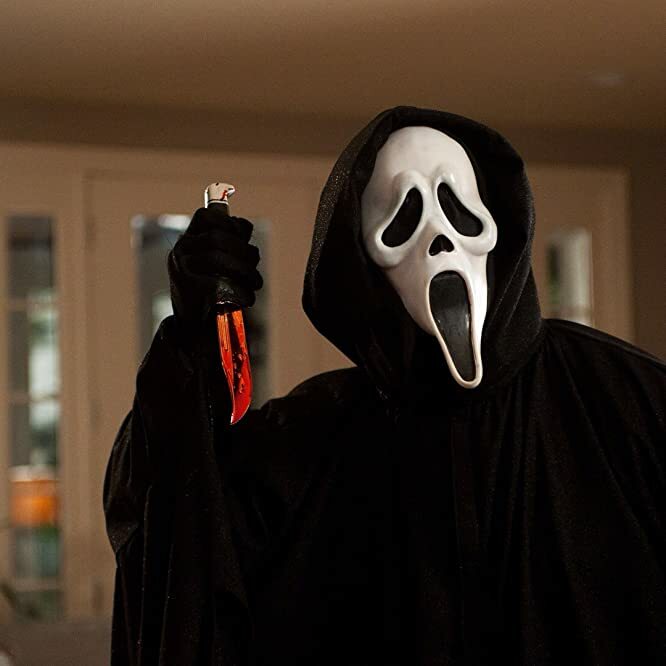 Around 10 minutes into the movie, when the killer smashes his head through a window and is hit in the face with a phone, director Wes Craven is actually wearing the costume and was really hit in the face. 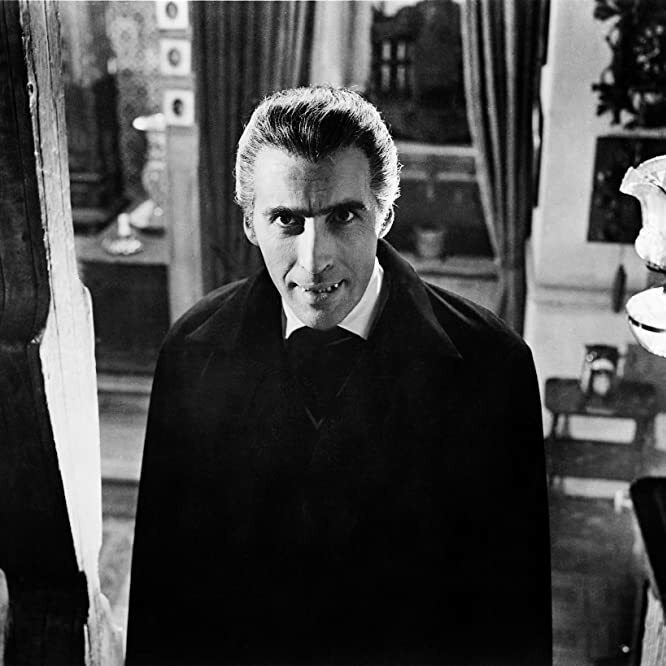 The cape worn by Christopher Lee was discovered in 2007 in a London costume shop during its annual inventory-taking. It had been missing for 30 years, and was sold at auction for $35,000. According to "Arrested Development" star Michael Cera, this was the first film for which he ever auditioned. 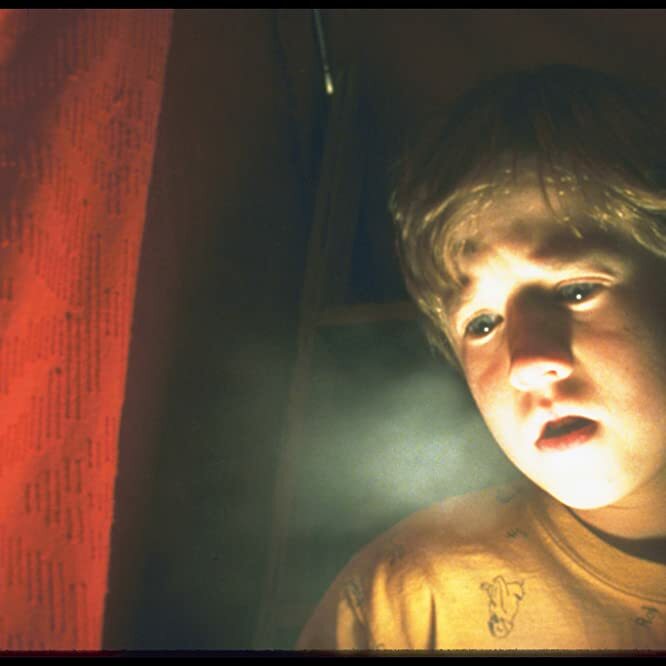 He read for the part of Cole, but the role ultimately went to Haley Joel Osment. 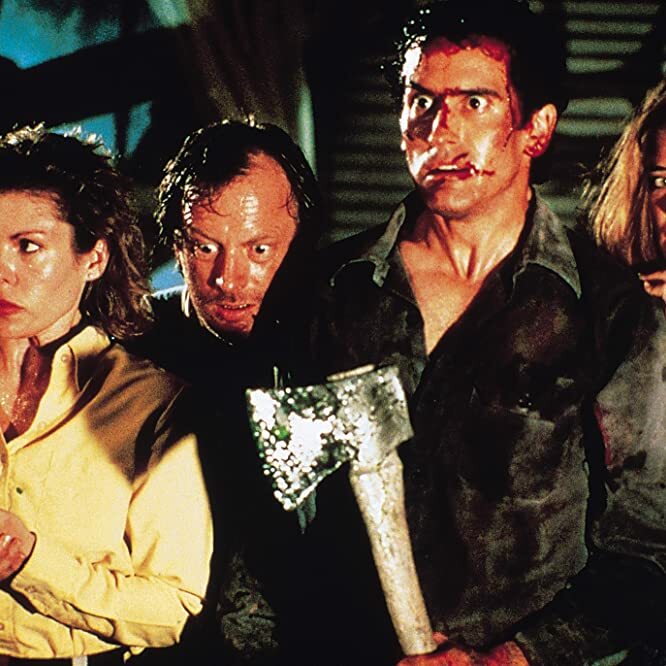 When the zombies are eating the bodies in the burnt-out truck they were actually eating roast ham covered in chocolate sauce. 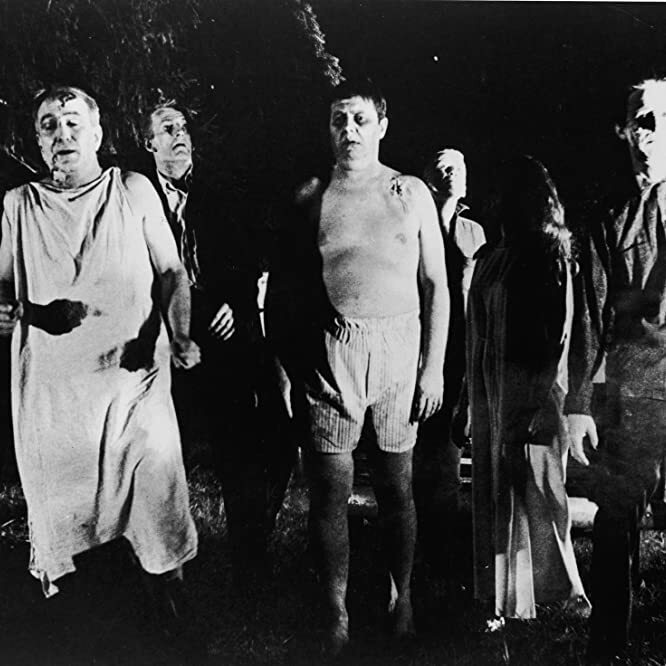 The filmmakers joked that it was so nausea-inducing that it was almost a waste of time putting the makeup on the zombies, as they ended up looking pale and sick anyway. 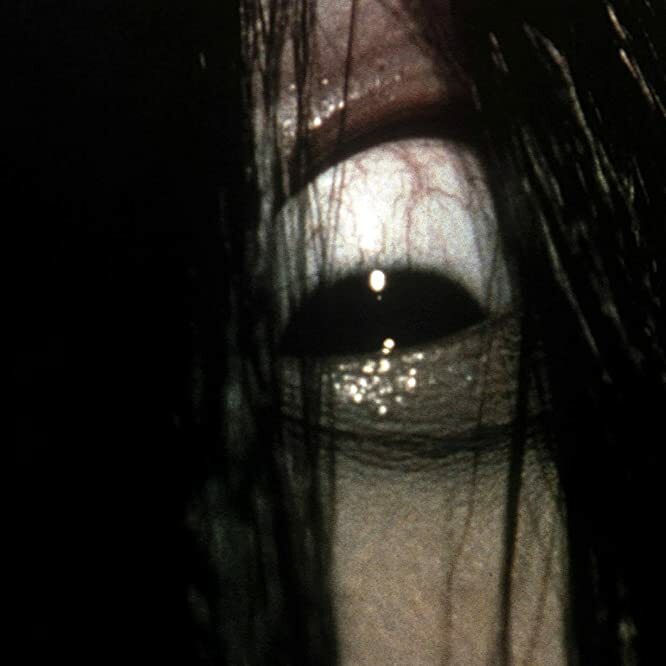 The effect of Sadako coming out of the well was accomplished by filming actress Rie Ino'o walking backwards and later running the footage in reverse. The actress was a student of the Kabuki theatre, which uses exaggerated motion and jerking movements to emphasize emotion. 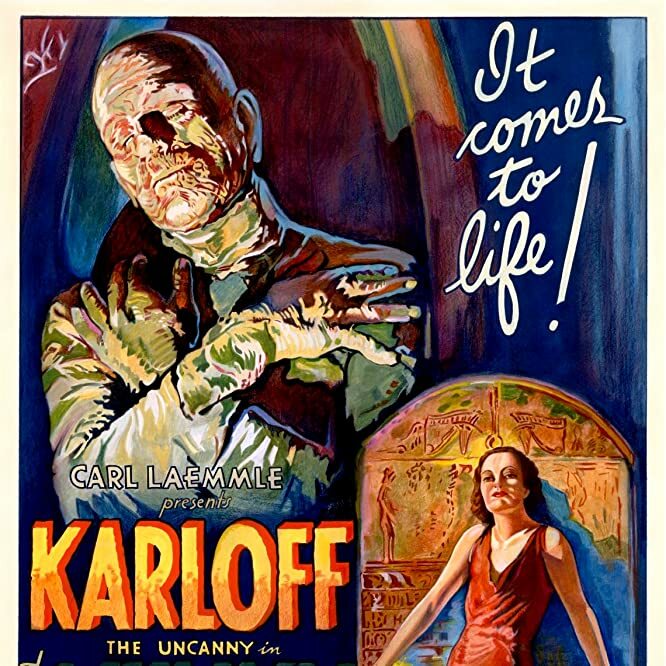 The Monster in this film does not physically resemble the character in Mary Shelley's novel. 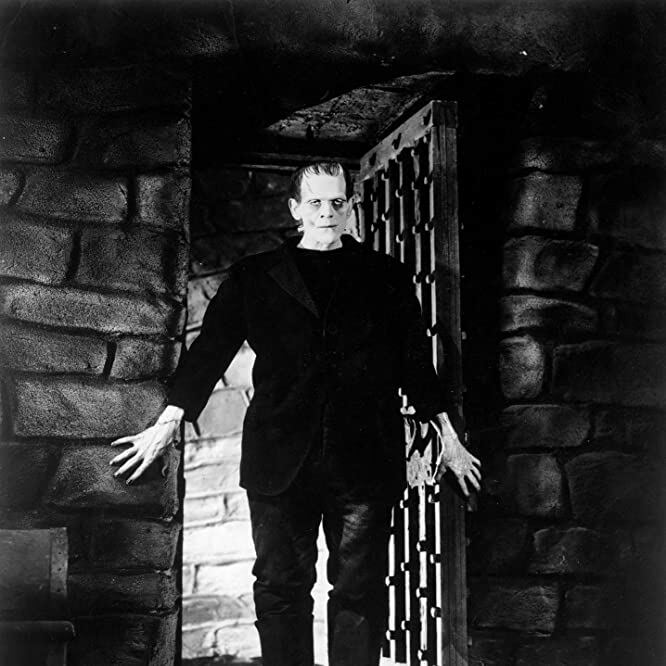 It was make-up artist Jack P. Pierce who came up with innovations such as the Monster's flat head, the bolts through the neck, the droopy eyelids, and the poorly-fitted suit. Any future Frankenstein film that features any of these physical abnormalities is taking its inspiration from Pierce's make-up work. 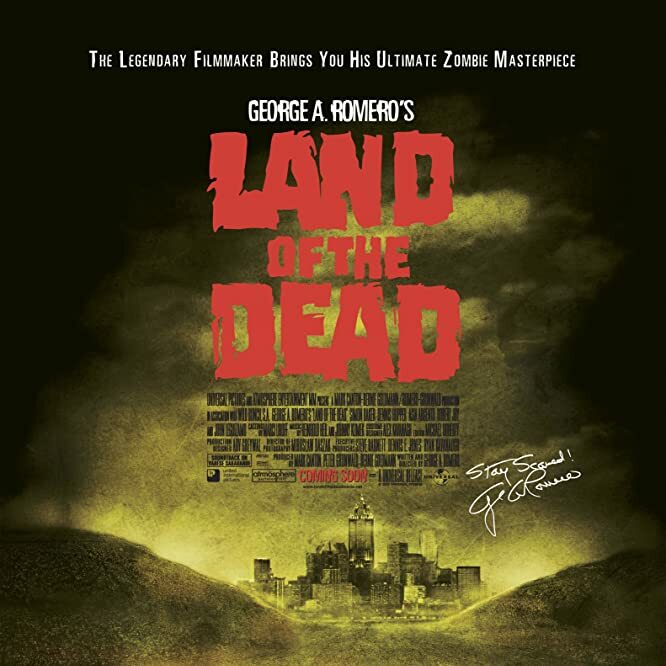 Chris Martin of Coldplay, who appears as himself on a news report near the end of the film promoting ZombAid, also plays a zombie. 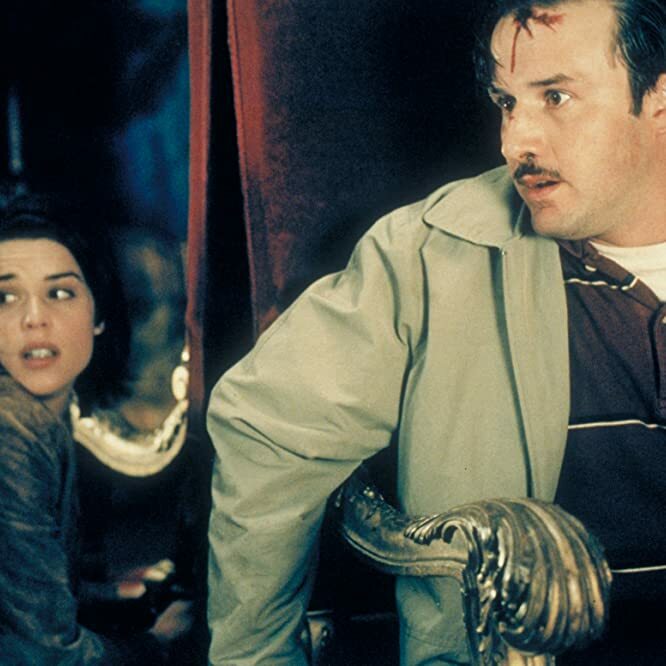 After Shaun and Liz escape from the basement of the Winchester, he can be seen playing the zombie walking past the phone booth from right to left. © 2004 Rogue Pictures. All Rights Reserved. 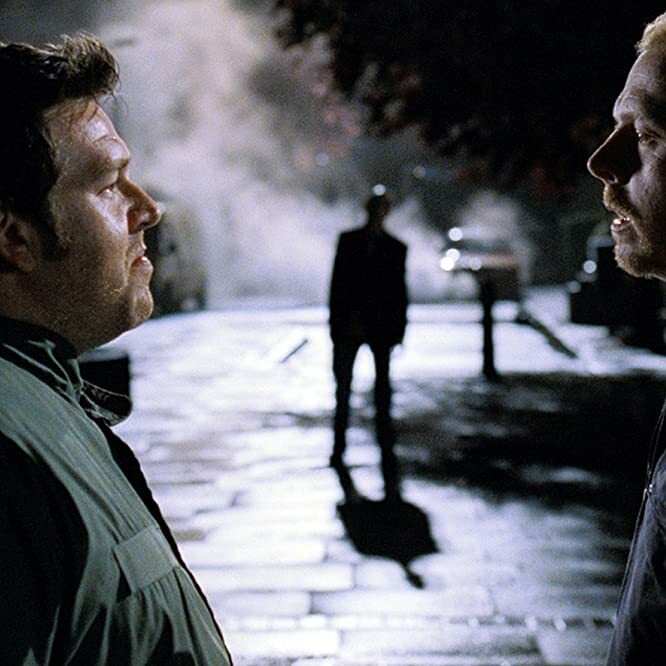 Director George A. Romero was so impressed with Simon Pegg and Edgar Wright's Shaun of the Dead (2004), that he asked them to appear in this, the fourth part of his "Dead" series. They appear as the photo-booth zombies in the carnival and barroom sequence. They also feature prominently in this artwork for the Unrated Director's Cut. Freddy Krueger's glove can be seen hanging above the door of the tool shed. This was in response to the use of The Evil Dead (1981) on a television screen in A Nightmare on Elm Street (1984). Due to its shoestring budget, the prop department had to use the cheapest $2 mask that they could find in the costume store: a mask of "Star Trek" actor William Shatner. They later spray-painted the face white, teased out the hair, and reshaped the eye holes. The final time that Oskar and Eli use Morse code to communicate, they tap out the letters P-U-S-S, which is Swedish for "small kiss." The house used during the finale was used to double as the shooting location for a school in Halloween H20: 20 Years Later (1998). 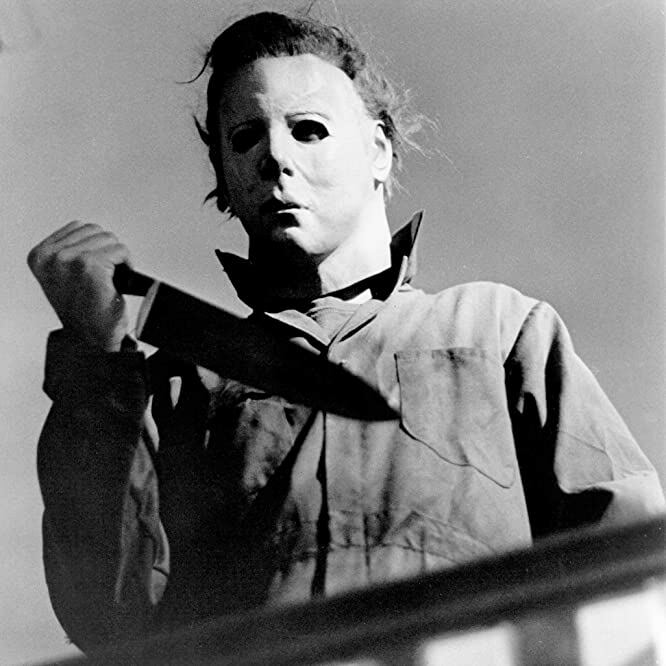 The killer, Jason, was originally named Josh but was changed after being deemed not threatening enough. 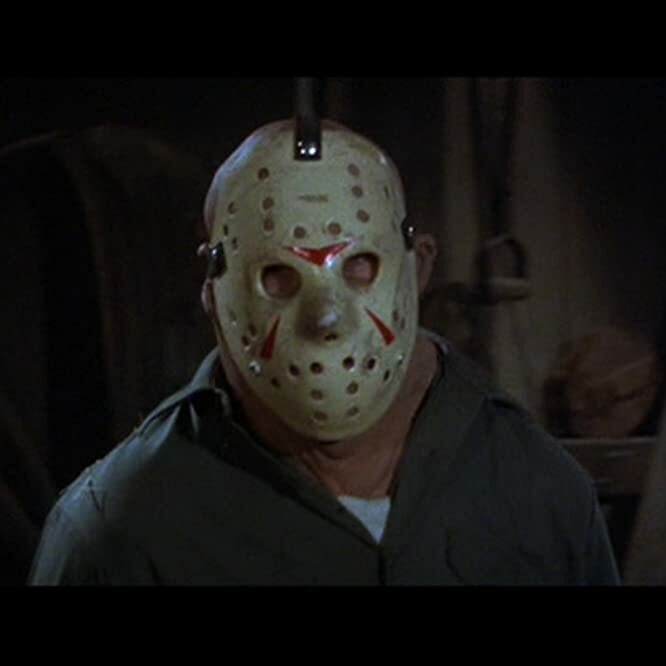 Jason only started wearing the iconic hockey mask in Friday the 13th Part III (1982) (pictured). The name of the high school is Bates High, a reference to Norman Bates from Psycho (1960). In addition, the four-note violin theme from Psycho is used throughout the film. 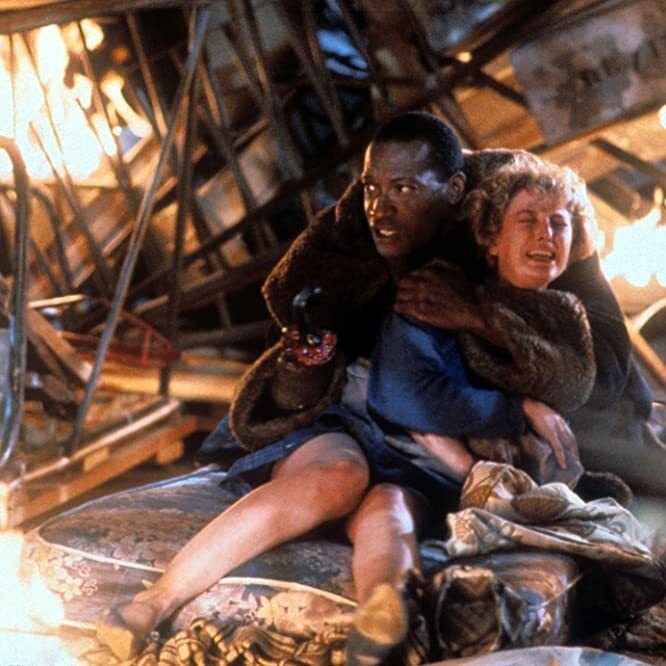 Real bees were actually put into lead actor Tony Todd's mouth while shooting the finale. His only protection was a mouth guard that kept the bees from going down his throat. 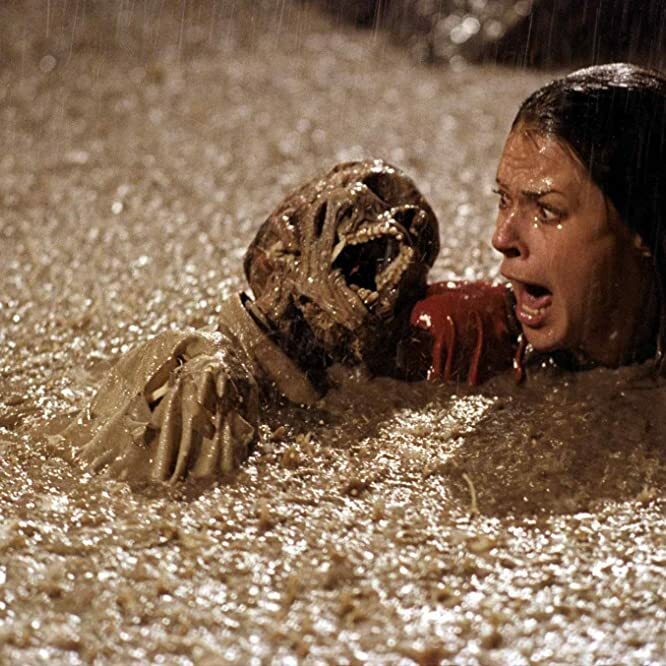 The skeletons that emerged from the swimming pool were real human skeletons. JoBeth Williams (pictured) didn't know this until after the scene was shot. 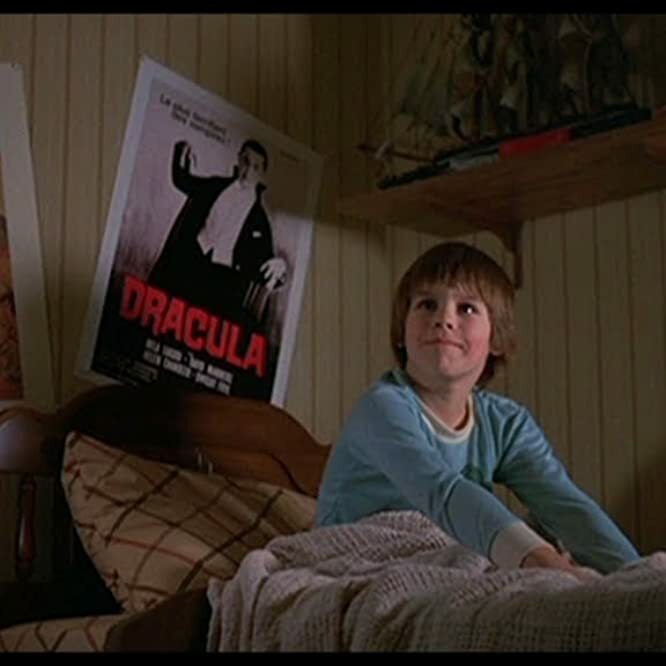 Joe Hill, son of writer Stephen King, makes a cameo as the boy featured in the beginning of the film. The sixth instalment of the franchise marked the feature film debut of Ant-Man (2015) star Paul Rudd. Filmed before Clueless (1995), he was credited as Paul Stephen Rudd.